Use Coupon Code funpack99 to purchase the IQ Fun Pack for only $99!! Limited Time Only!! As a parent, you want the best for your child, and that includes access to the best education available. The unfortunate reality of today’s education system is this: One test may change your child’s entire future. It may seem arbitrary and it may seem unfair, but that’s how the system often works. 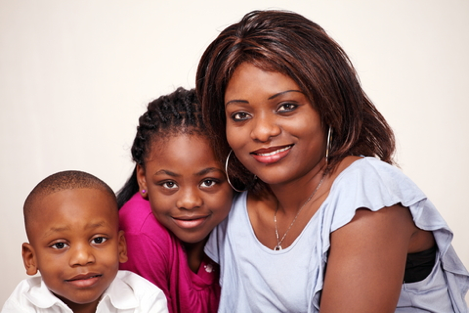 A single test, administered over the course of a few hours, can determine whether your child gets access to the abundant resources that a gifted and talented program provides, unlocking a whole new world of potential—or that test can pigeonhole your son or daughter as a child who belongs in the “slow” group. What if your daughter is nervous on test day and doesn’t do as well as you know she can? Or what if your son simply has a bad day? As a concerned parent, what can you do to equip your child with the skills and the confidence to score to his or her highest potential—and get on track for a bright future? Think about it this way: If you had an interview for a job at a company you held in high regard, one that could very well determine the future course of your career, would you go into that interview cold? Of course not. So why do we expect our children to do the same—and excel? This complete test prep system is designed to get your children ages 3-8 ready to score their highest on gifted and talented tests and school entrance exams. Plus, the skills they’ll learn in IQ Fun Pack also set a strong foundation for future school success. Here’s the best part: The IQ Fun Pack looks and feels like a game. Kids even think it’s a game—but really, it’s a complete skill-building system for test readiness. 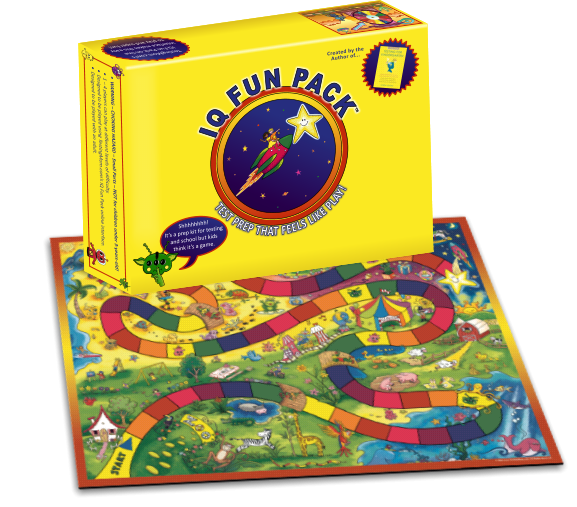 IQ Fun Pack includes a two-sided board game with a simple online interface, over 11,000 learning challenges to prep for 15+ different tests, flashcards and more! 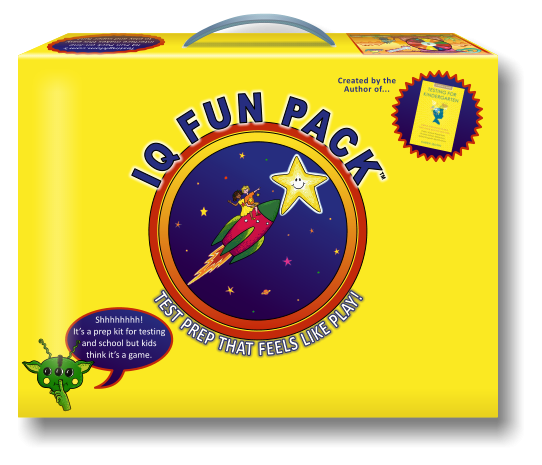 IQ Fun Pack makes test prep painless for parents and fun for kids. It’s where education meets fun. 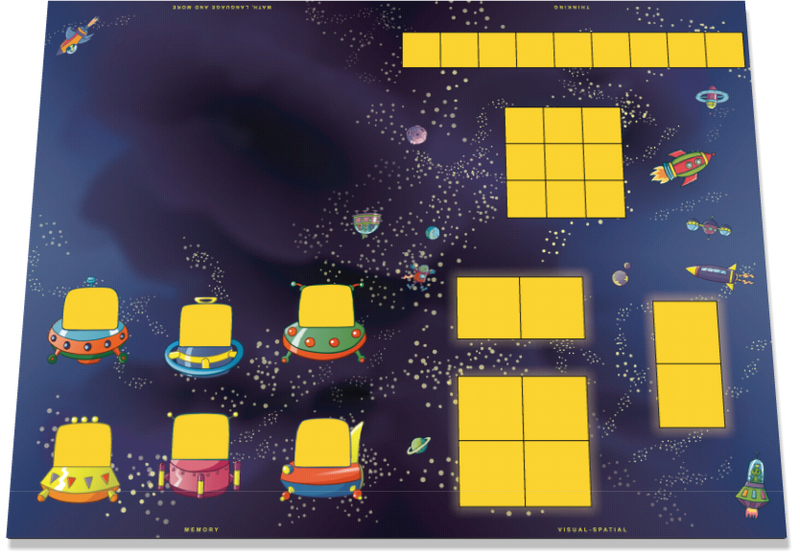 IQ Fun Pack also offers offline, hands-on physical play options in case you want to limit your child’s online exposure. When you invest in IQ Fun Pack, you’ll open doors to new possibilities, including prestigious gifted programs, a leading option for a high-quality education. IQ Fun Pack can also prepare your children for private school entrance exams, giving your family access to top-choice schools. Ultimately, a high test score means more options for you and your family. 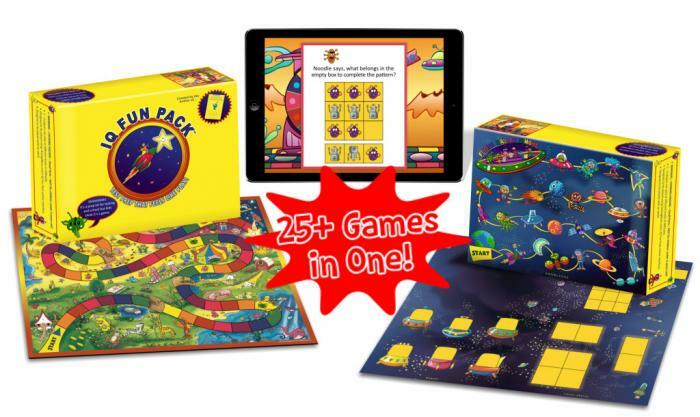 IQ Fun Pack can help your child get there—while having fun! 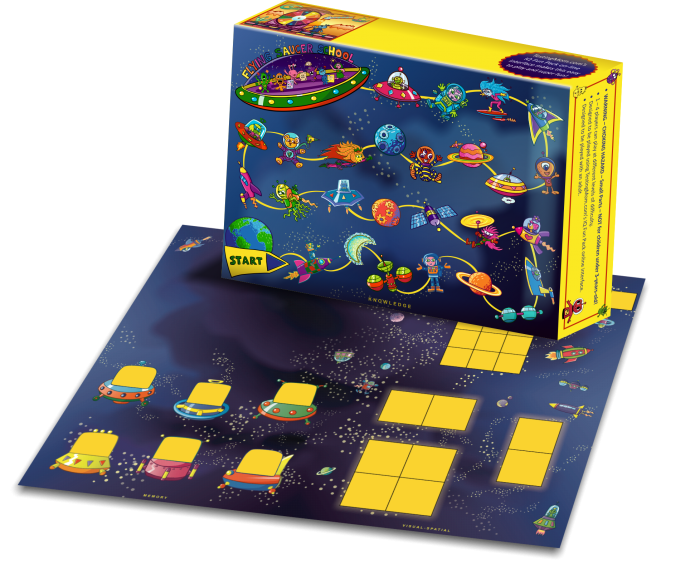 IQ Fun Pack is the secret to taking 3-to 8-year-olds beyond ABCs and 123s to gifted-style thinking, which 1) prepares them for any placement tests they may encounter as well as 2) primes them for future school success. 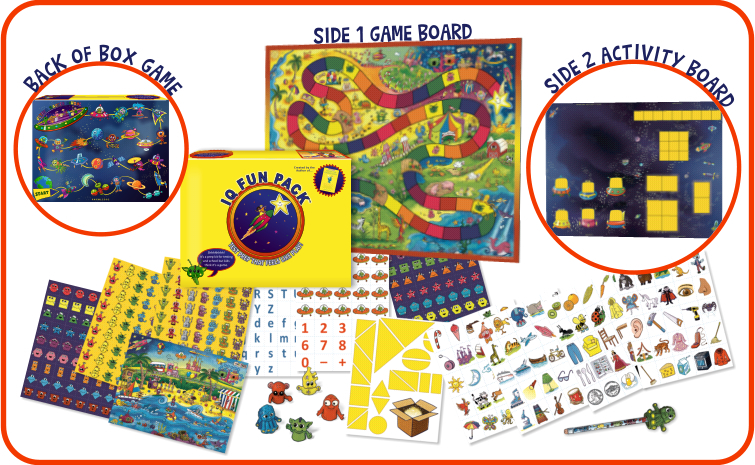 Plus, IQ Fun Pack is centered around a fun, entertaining concept that kids love. In addition to these seven abilities, IQ Fun Pack will also build your child’s pre-reading, listening and focusing skills. These abilities will help him score well on any intelligence or placement test. They’ll also form the foundation for excelling in school from kindergarten throughout his entire school career. By developing these seven abilities and additional skills, IQ Fun Pack will help fast-track your child to a place where she instinctively knows what to do and how to answer the types of questions she’ll be asked during a real test. It is important to understand that the questions in the IQ Fun Pack system are all original. They are NOT the same questions your child will see on any actual assessment. However, because they do cover all of the same kinds of abilities, skills, and information children need for testing and school readiness, they prepare a child to do well on any exam. 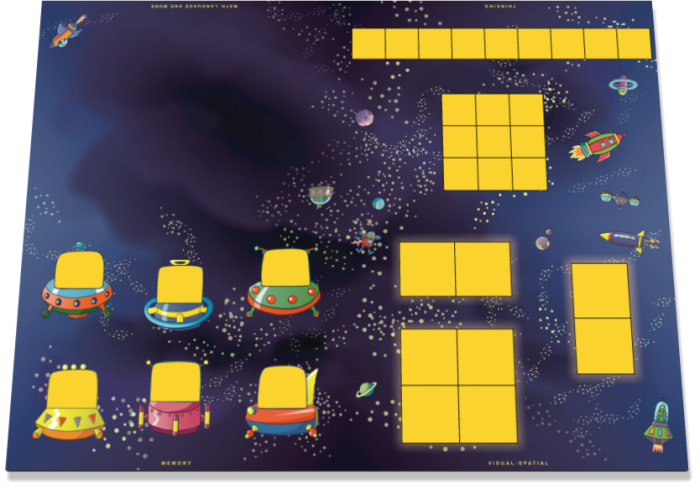 Plus, since all of the exercises within IQ Fun Pack are designed to feel like a game, your kids will actually want to play. As the story of IQ Fun Pack unfolds, you and your child will discover that space babies have traveled across the galaxies to study life on Earth. They are very excited about their trip and have so many questions about Earth children. 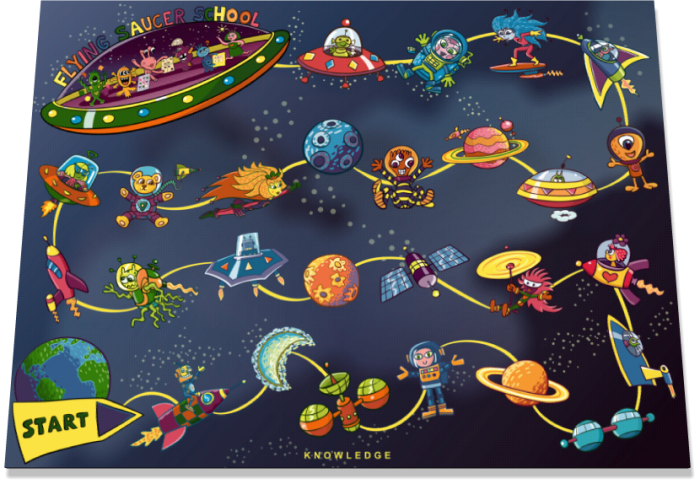 To help them learn, your child has been selected for a play date with a space baby. As your child winds his way down the path, his space baby friend will ask about all kinds of things. Show him just how just how much Earth children know by answering all his questions. Your child will have a fun day with your space baby, then get him back to his rocket ship in time to return to his planet for dinner. And, remember, when your children play IQ Fun Pack, they won’t know they’re prepping for a test—and neither will you. IQ Fun Pack is entertaining for the entire family! 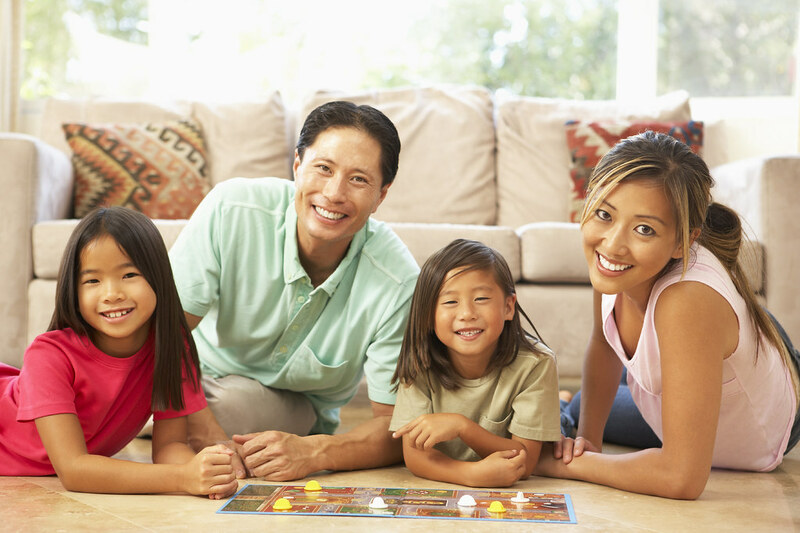 The game was especially created so siblings, parents and grandparents can enjoy quality play time together. Thousands of children have aced their tests by playing IQ Fun Pack. Yours can, too! Use IQ Fun Pack to teach your child anything! 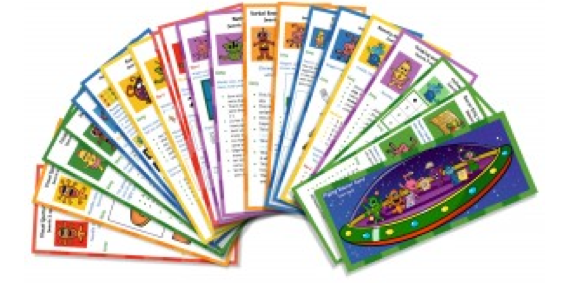 For parents who want to limit their child’s online activities – IQ Fun Pack can also be played using any printed practice questions (all TestingMom’s practice questions are printable), including flash cards, Brain Quest cards, or even your child’s weekly spelling list! 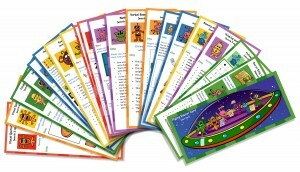 Watch Elizabeth Alexander, founder of www.ReadingInPreschool.com, teach reading, math and Spanish skills using IQ Fun Pack! 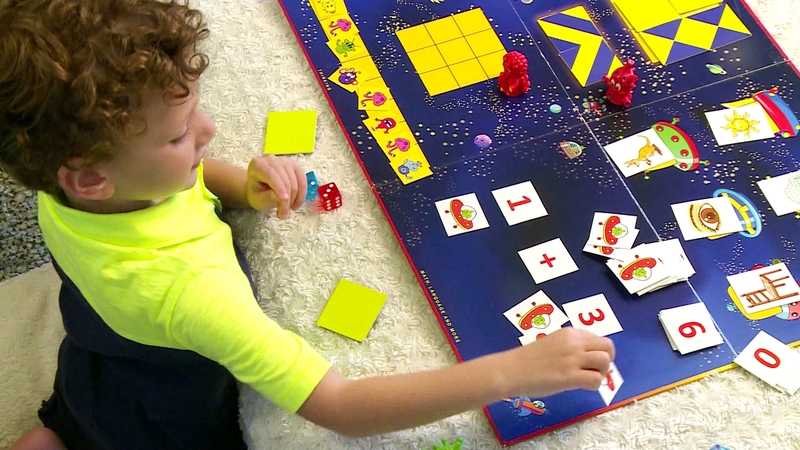 In the second video, she uses IQ Fun Pack to teach classification skills. 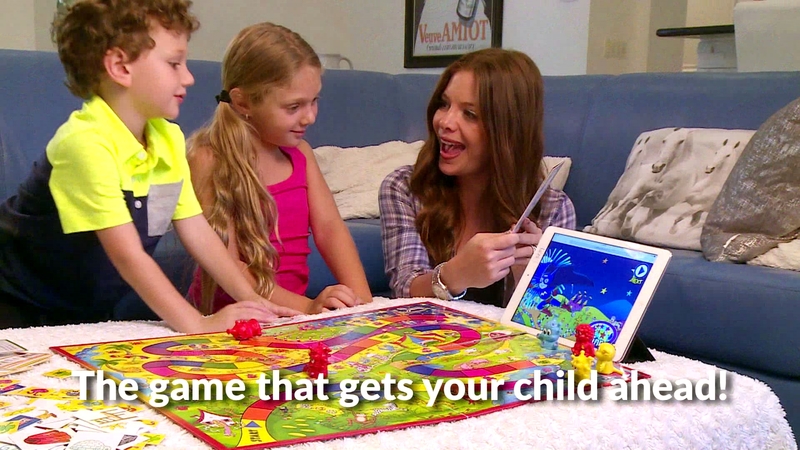 Watch Alyssa play other games using the IQ Fun Pack Test Prep System! There are 25+ games in one! I’m a huge fan – I tell everyone in earshot to buy your book, your game and join TestingMom.com. Such a great resource! My own school uses many of your ideas and they work. They just work! The kids are getting into gifted and talented programs and it is easy. 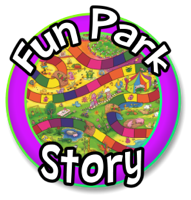 They love to play your IQ Fun Pack game, they love to work on your website, they like to do fun things. They have no clue that they are learning concepts and thinking through problems!! $297 seems expensive. 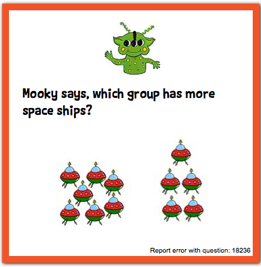 Why should I choose IQ Fun Pack instead of a workbook? For your investment of $297, you get the opportunity to help open your child’s world of educational possibilities. One exam can make a huge difference in your child’s future and determine whether she’s placed in a gifted and talented track or the “slow” group. Don’t you want to send your child into that exam both prepared and confident, setting her up to score high? IQ Fun Pack will help your child score to her potential on many entrance exams, intelligence exams and gifted and talented exams to qualify for the best education possible. When looking at the cost to prep your child for an exam, ask yourself what a world-class education is worth to you and your family. Additionally, IQ Fun Pack is more cost-effective than a private tutor. While it’s more expensive than a workbook, what you get with IQ Fun Pack is more comprehensive test prep that kids actually WANT to do—because it feels like a game. No more fighting over flashcards or workbook time. Your kids will enjoy their time with IQ Fun Pack, making test prep easy, hassle-free and effective. How can I save $100 on IQ Fun Pack with a yearly TestingMom.com membership? When you invest in a yearly membership to TestingMom.com, you’ll get access to a library of TestingMom.com online resources, including our stress-free test prep and online skill building resources. Plus, you’ll get $100 off our IQ Fun Pack. With your $100 discount, you can get a yearly TestingMom.com membership PLUS the IQ Fun Pack for just a little bit more than the IQ Fun Pack by itself. 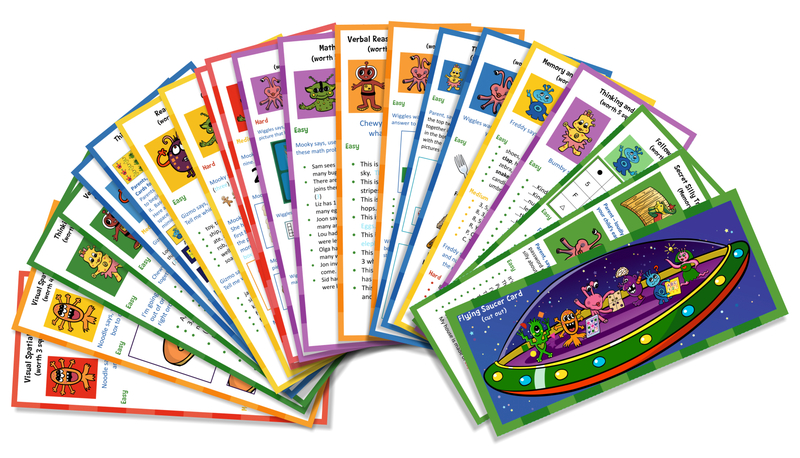 Over 100,000 practice questions, online games and printables for the most popular tests from Pre-K to 8th grade. Skill Building Academy for Pre-K to 8th Grade with full access to 40 top educational resources. Kindergarten readiness strategies, parent resources and more. To get the package, get your yearly TestingMom.com membership, then purchase IQ Fun Pack to receive a $100 discount and pay only $197.00. What skills exactly does the IQ Fun Pack prep my child for? Focus and listening: How to focus, listen carefully and remember the question being asked so he can give the correct answer. Language: How to respond to questions with varied and rich vocabulary versus single word answers, allowing her to earn more points when tested. Computational math: How to count (by rolling the dice and moving the space baby), add and subtract. Working memory and knowledge: How to listen to a “silly” password statement, repeat it exactly and then how to explain why it the statement is silly (similar to tasks on the Stanford-Binet). Knowledge and information: How to understand the information that is on standard tests and that children are expected know by the time they start kindergarten – lower and upper case letters, numbers, shapes, colors, fruits, vegetables, shapes, farm animals, zoo animals, and much more. Patterning: How to extend patterns and recreate patterns from memory. 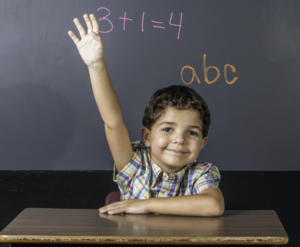 Verbal math: How to answer simple “word” math problems that require addition and subtraction. Fine-motor and visual-spatial skills: How to recognize and draw shapes and symbols. Classification: How to put words and visual images into categories. Comparison: How to recognize and distinguish similarities and differences in language and visual images. Relativity: How to understand relativity in visual images – above, below, next to, more, less, taller, shorter, lighter, heavier, bigger, smaller, inside, outside, higher, lower, and much more. Vocabulary: How to talk about vocabulary words and what they mean. Categorizing: How to articulate why things belong together and why they don’t. Matching: How to recreate designs using pattern tiles and tangram pieces – a task on several IQ tests. 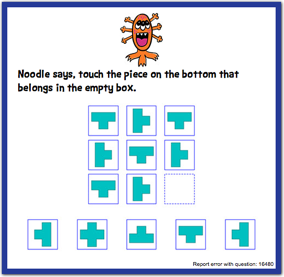 Spatial Reasoning: How to work with visual-spatial reasoning problems using figural images. Thinking: Using deductive reasoning skills to answer “word” problems. Comprehension: How to demonstrate through language the basic comprehension of the world that a young child should have. Pre-Reading: How to articulate a story with a beginning, middle and end, letter identification, letter sounds, word parts, rhyming, and more. 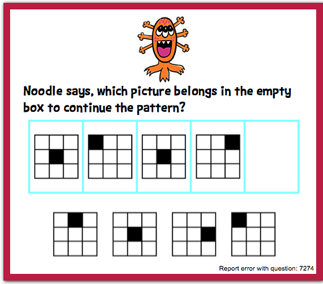 Sequencing: How to put pictures into sequences and patterns. Analogies: How to handle “matrix” analogy questions, which are found on most intelligence assessments. Part/whole relationships and memory: How to recognize what is missing from and what is wrong with a visual image. Test Stamina: How to sit and focus for a long period of time – something your child will have to do when tested. And much, much more! IQ Fun Pack covers lots of ground—in fun ways for your child! By working on these skills, IQ Fun Pack both prepares your child to score high on their exams and it also forms the foundation for school success from Kindergarten throughout their careers. Plus, IQ Fun Pack does all this while your kids play what feels like a game to them. What if my child doesn’t have any of these skills yet? Don’t worry! That’s what IQ Fun Pack is for. It will your child build up to these skills. The questions and activities your child will work with using the IQ Fun Pack system come in 3 levels – EASY, MEDIUM and HARD. EASY questions are for kids age 3. MEDIUM questions are for 4-year-olds. HARD questions are for children ages 5-7. This is just a guideline, however. Some younger kids are ahead in certain skills, while older kids still need to build up particular abilities. The first time you play, you might want to start with MEDIUM questions. If these are too easy, try HARD the next time. You will probably find that your child will use a mixture of levels. He may be able to handle HARD vocabulary-type questions, but will need to work with EASY math questions. You’ll get a feel for the “right” level for different skills and activities as you play the game a few times. Playing the game will quickly show you your child’s strengths and weaknesses. The important point is that your child can (and will) work his way from super easy questions to the very hardest ones. My preschool director told us not to prepare, that the tester would know and our child would be disqualified! Don’t worry! With IQ Fun Pack, children are never exposed to actual questions or activities from any test. IQ Fun Pack is just like any home-based educational activity a parent would normally do with her child. Our learning material is similar to what you might find with BrainQuest™ cards, Mighty Mind games, lessons at Kumon or educational games and workbooks you’ll find at your local bookstore. 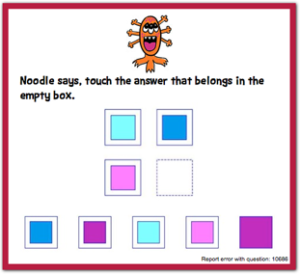 IQ Fun Pack focuses on activities and questions that are similar to a particular test your child may take. By using IQ Fun Pack, your child will build familiarity with the types of questions and the skills needed to answer them correctly. However, the questions used in IQ Fun Pack are different in look, feel and content from materials an actual tester will use. For example, after playing IQ Fun Pack, your child won’t be thrown off by when asked to solve a figural matrix or serial reasoning question for the very first time in a testing situation where results really matter. 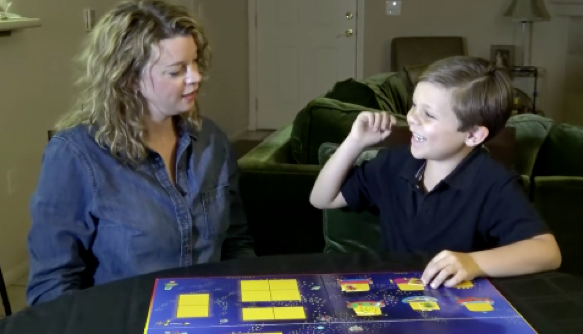 Instead, he will have mastered the underlying skills needed to handle that type of question or task through IQ Fun Pack, and he will be able to show what he knows when it really counts. Is everything online? Or are their offline pieces as well? IQ Fun Pack offers a fun, animated interface that you can run from your tablet or computer. It also offers offline, hands-on play on physical cards for parents who want to limit their child’s online exposure. 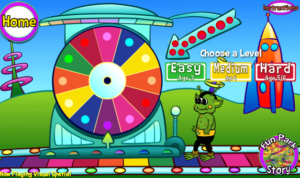 At TestingMom.com, we always recommend that parents use both our website and the game so that your kids don’t get bored. We’ve designed both to be so much fun that your kids will think they’re playing games with you or getting away with extra computer time. Am I really the best person to help my child prep? Or should I get a tutor? IQ Fun Pack will offer you guidance as you work with your child to help you maximize your effectiveness and offer you quality time that you both enjoy. For example, when your child is answering a particular type of question or doing an activity for the first time, it may be difficult for her. If you want to reword a question or ask a different, easier question, go ahead. Offer clues, help her think or do whatever you feel she needs to correctly respond to the question or accomplish the activity. Praise her for trying and working hard. Tell her you don’t expect her to know the answer to everything right away. Tell her she’s doing great! No, that’s wrong. Try again. That’s close, but let’s make it better. I’m going to run to the kitchen and get 3 cookies. You can eat one and we’ll figure out how many are left. (Assuming you’re playing with another child) “Brooke seems to know the answer. Brooke, why don’t you give Michael a hint?” When little children are playing, they love to give each other hints when one has the answer and the other doesn’t. 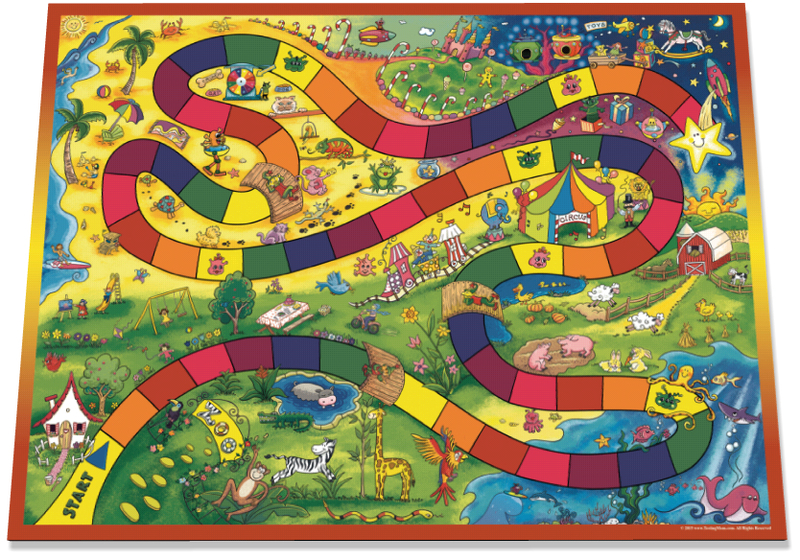 The goal of playing this is for your child to learn and have fun and feel like a winner. As long as your daughter has practiced, learned to how to think through and respond to the types of questions she’ll get when tested, she will do her very best when it matters. Please open shipment upon receipt and contact us immediately if there is an issue with your order. There is a 7 day return policy for the IQ Fun Pack if it is returned in perfect, uncut, resalable condition. The IQ Fun Pack must be returned (at the customer’s expense) within 7 days of receipt for a full refund. Bracken School Readiness Assessment™ (BSRA™); Kaufman Brief Intelligence Test™, Second Edition™ (KBIT-2™); NNAT-2® and Naglieri Nonverbal Ability Test®; Raven’s Standard Progressive Matrices™; OLSAT® – Otis-Lennon School Ability Test®, Eighth Edition®; Standard Achievement Test – 10th Edition; Wechsler Intelligence Scale for Children® — Fourth Edition (WISC®-IV); Wechsler Intelligence Scale for Children® — Fifth Edition (WISC®-V)Wechsler Nonverbal Scale of Ability™ (WNV™); Wechsler Preschool and Primary Scale of Intelligence™ – Third Edition (WPPSI™ – III); and Wechsler Preschool and Primary Scale of Intelligence™ – Fourth Edition (WPPSI™ – IV) are trademarks and/or registered trademarks of Pearson Education, Inc or its affiliate(s), or their licensors. TestingMom.com is not affiliated with nor related to Pearson Education, Inc or its affiliates (“Pearson”). Pearson does not sponsor or endorse any TestingMom.com product, nor have TestingMom.com products or services been reviewed, certified, or approved by Pearson. Cognitive Abilities Test® (CogAT®) Forms 6 and 7; Iowa Tests of Basic Skills® (ITBS® and IOWA®); Stanford-Binet Intelligence Scales®, Fifth Edition® (SB5®); and Woodcock-Johnson® Tests of Achievement® (W-J-III®) are registered trademarks of Riverside Publishing, a Houghton Mifflin Company, or their affiliate(s), or their licensors. TestingMom.com is not affiliated with nor related to Houghton Mifflin Company or its affiliates (“Houghton Mifflin”). Houghton Mifflin does not sponsor or endorse any TestingMom.com product, nor have TestingMom.com products or services been reviewed, certified, or approved by Houghton Mifflin. Reynolds Intellectual Assessment Scales® (RIAS®) is a registered trademark of PAR, Inc. or its affiliate(s), or their licensors. TestingMom.com is not affiliated with nor related to PAR, Inc. or its affiliates (“PAR”). PAR does not sponsor or endorse any TestingMom.com product, nor have TestingMom.com products or services been reviewed, certified, or approved by PAR. AABL® – Admissions Assessment for Beginning Learners® is a registered trademark of the Educational Resource Bureau (ERB) or their affiliate(s), or their licensors. TestingMom.com is not affiliated with nor related to the Educational Resource Bureau (ERB) or their affiliates (“ERB”). ERB does not sponsor or endorse any TestingMom.com product, nor have TestingMom.com products or services been reviewed, certified, or approved by ERB. Kindergarten Readiness Test (KRT) is a registered trademark of The University of Minnesota and Reflection Science LLC or their affiliate(s), or their licensors. The University of Minnesota and Reflection Science LLC does not sponsor or endorse any TestingMom.com product, nor have TestingMom.com products or services been reviewed, certified, or approved by The University of Minnesota and Reflection Science LLC. All trademarks referring to specific test providers are used by TestingMom.com for nominative purposes only and such trademarks are solely the property of their respective owners.